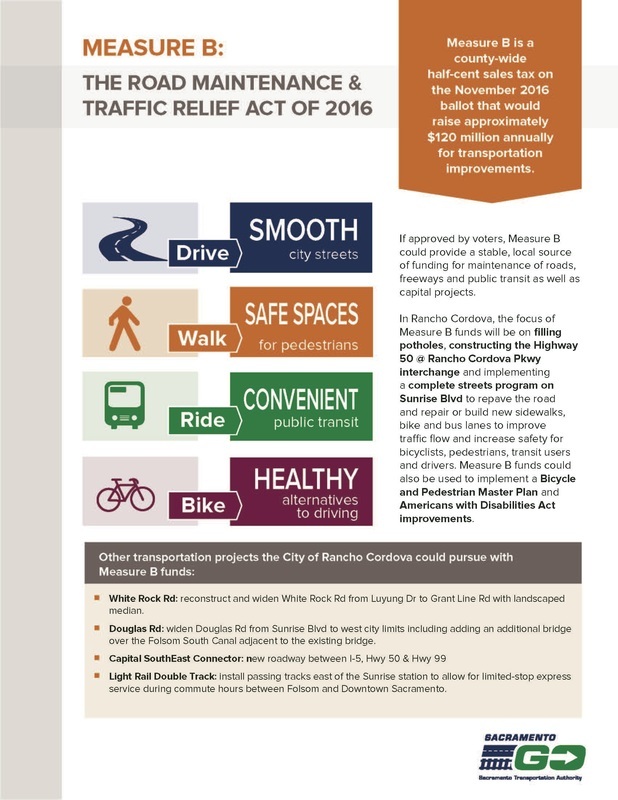 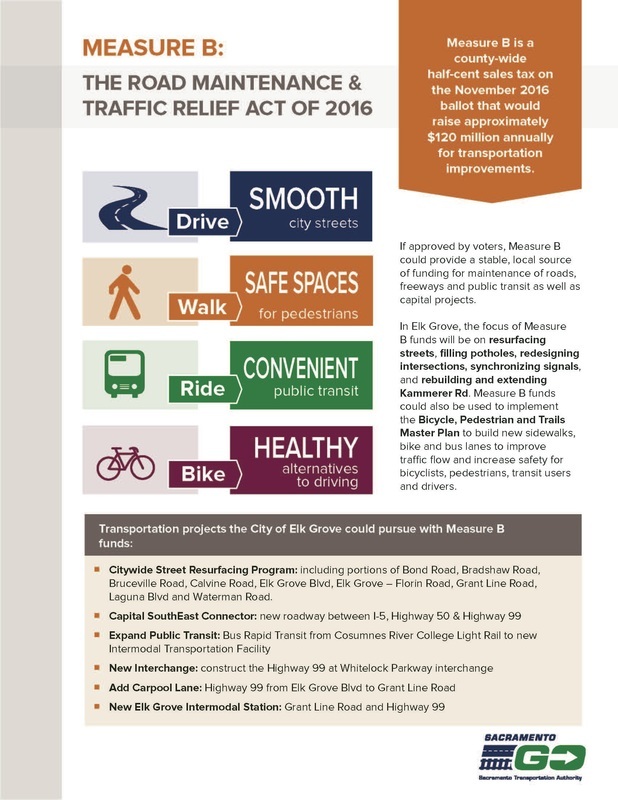 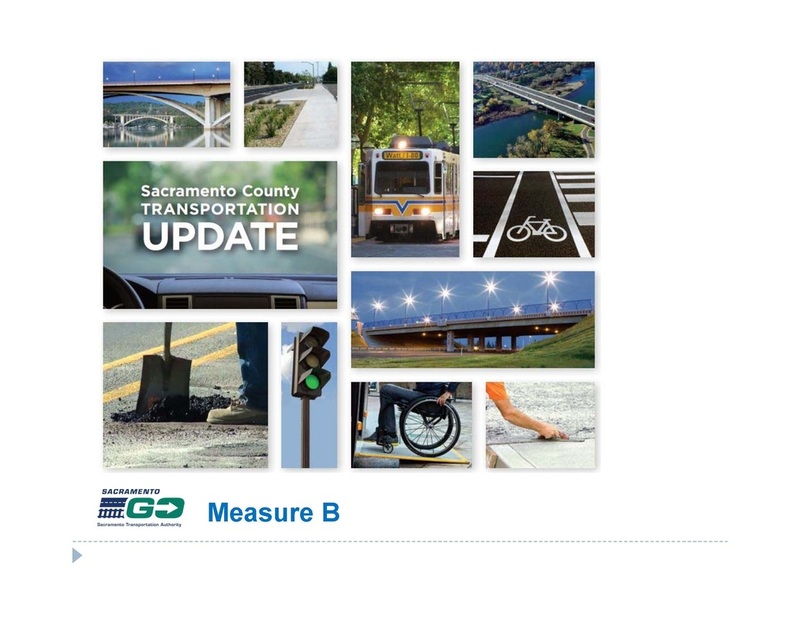 What Measure B will fund: The measure will provide funding to fill potholes and repave streets, repair deteriorating bridges, relieve traffic on roads and freeways, and support light rail and bus operations, maintenance, and security. 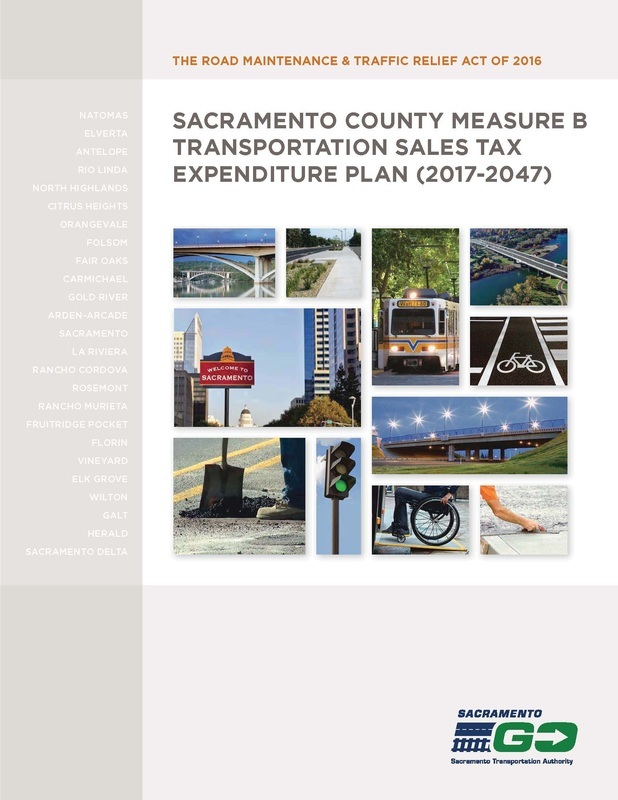 Accountability and oversight: Measure B requires 5-year update plans, and includes an annual audit by an Independent Taxpayer Oversight Committee to review fiscal and program performance. 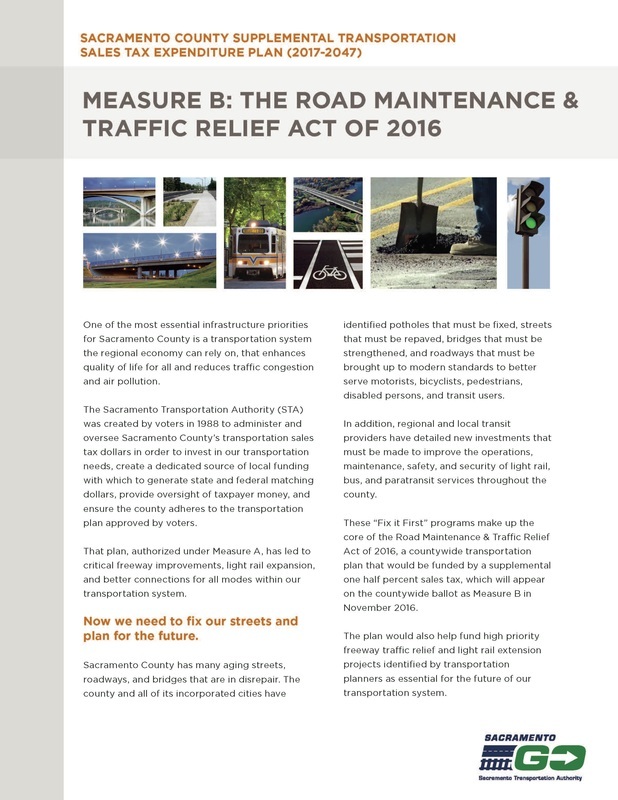 Fix-it-First: Measure B front loads 75% of funds for “Fix-it-First” priorities. Top priorities are increasing safety and cleanliness on Sacramento Regional Transit buses and light rail vehicles, and repaving existing roadways that are failing due to age and overuse. 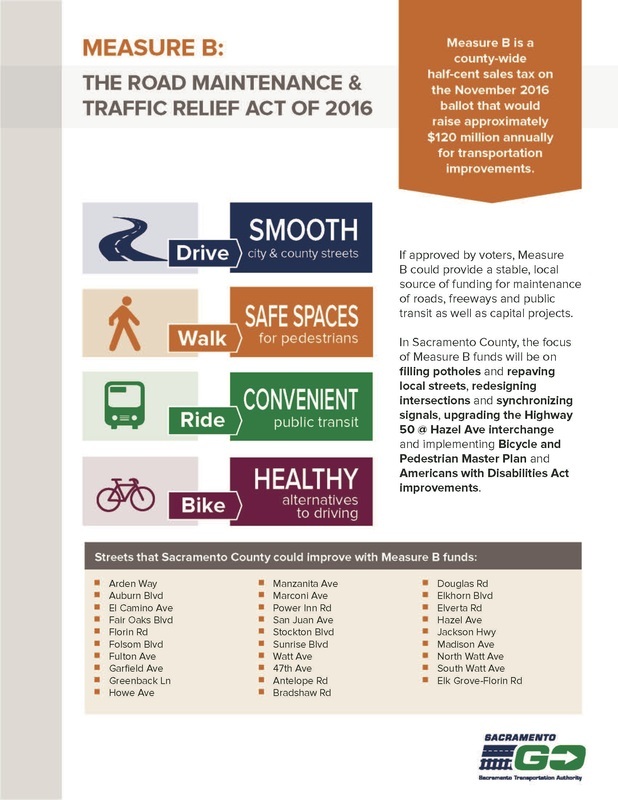 Congestion Relief: Measure B funds projects that will relieve congestion on Sacramento's freeways, such as constructing the Connector expressway and widening Business 80 through downtown Sacramento.